Why hello there! I hope you've had a great week? I've just arrived home, and it's sooooo nice to be back (take a sneak peak at the results of the project I've been working on this week here) - even if I am a little jet lagged! 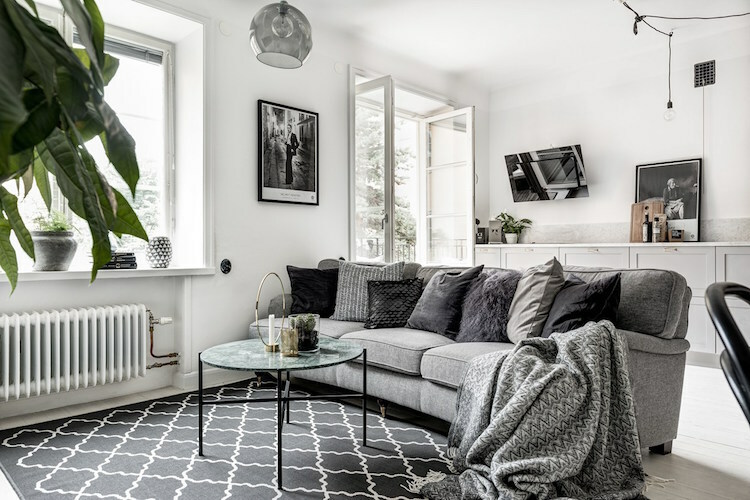 In my hazy state I stumbled across this little Swedish pad on Pinterest and it totally perked me up! 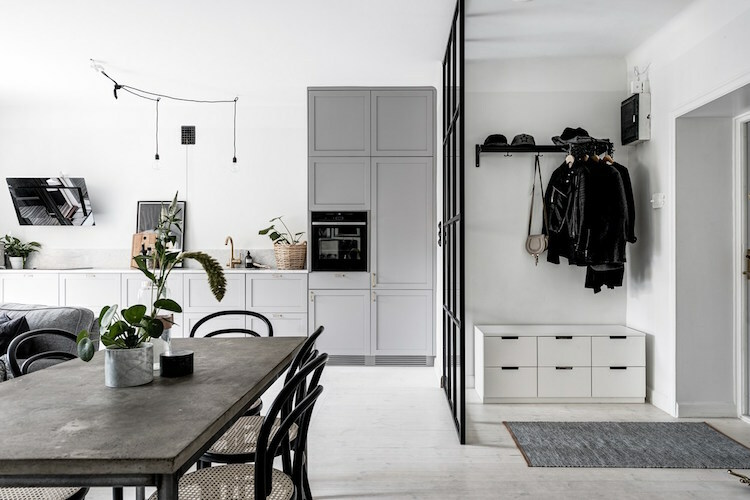 I love how the small space has been laid out with a hallway, kitchen (how lovely are those cabinets? ), dining area, and sitting room - such great inspiration for anyone looking to design in a tight spot! The glass room divider is such a clever idea as it creates a separate zone for the entrance, without losing any light - perfect! I also love how the kitchen goes right the way along the back wall (it helps that it's the nicest kitchen E.V.E.R too, what do you say?!). 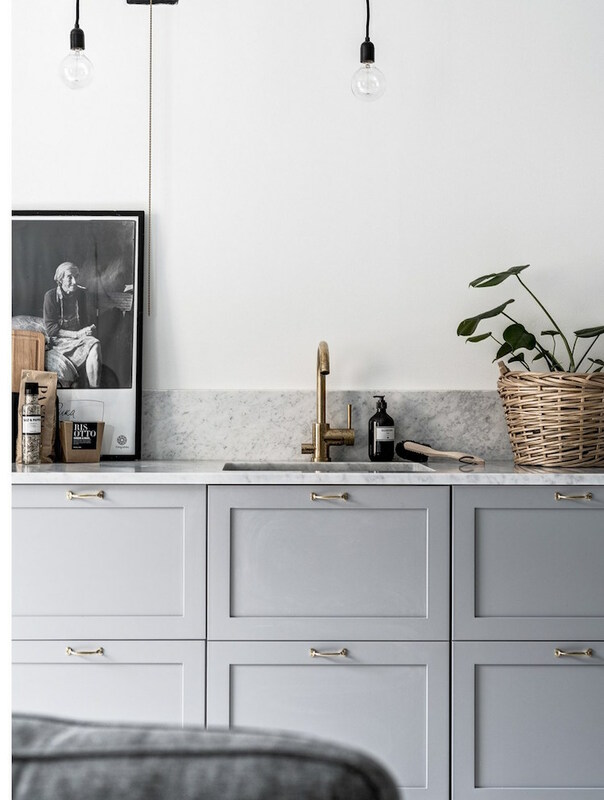 A couple of items I know and love - I think these are IKEA kitchen cabinets - am I right? 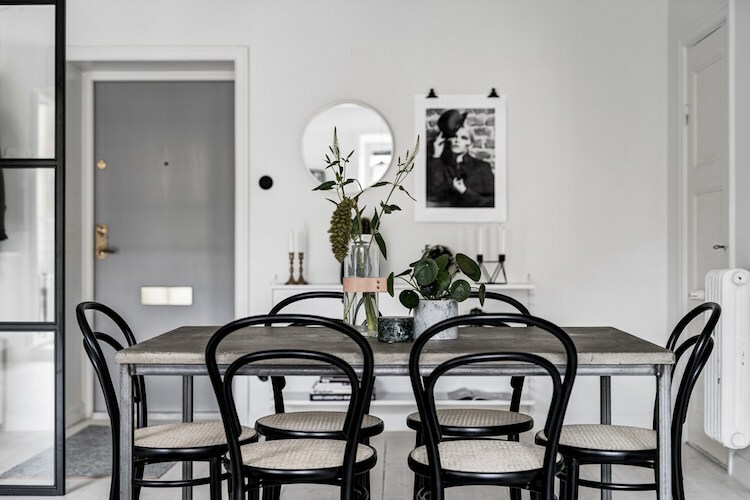 Bistro chairs, this table with a concrete surface is similar. Since this weekend is fast becoming an official annual 'blog holiday' in the calendar, I'm following suit and taking a little time off to recover from my trip and hang out with my (neglected!) family. I hope you have a truly relaxing long weekend and see you Tuesday! PS see a whole load more beautiful small space inspiration here! PPS Any tips on staying awake and beating jet lag? I would love to see the the final look of your green house project. Thank you - all will be revealed in October - I'm super excited to share the tour! Thats so interesting - I heard a lot about melatonin when I was in the US this week (first time I'd heard about it) - its s herb that helps the quality of your sleep right? What a lovely studio. I love the glass divider that creates kind of a hall. So clever! 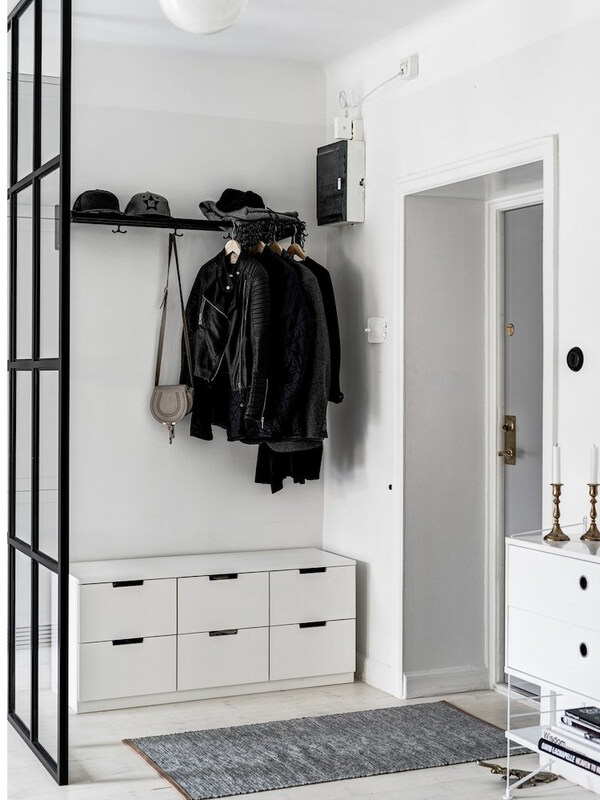 I love that too - such a brilliant idea for a small open hallway! Same to you lovely Renaud! Those chairs! 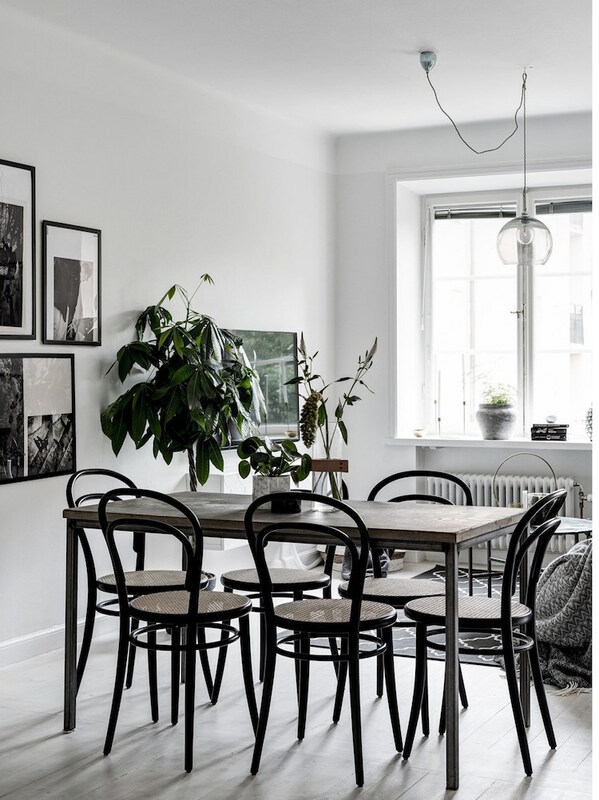 I love almost-everything-Ikea-plus-few-statement-pieces interior solutions. 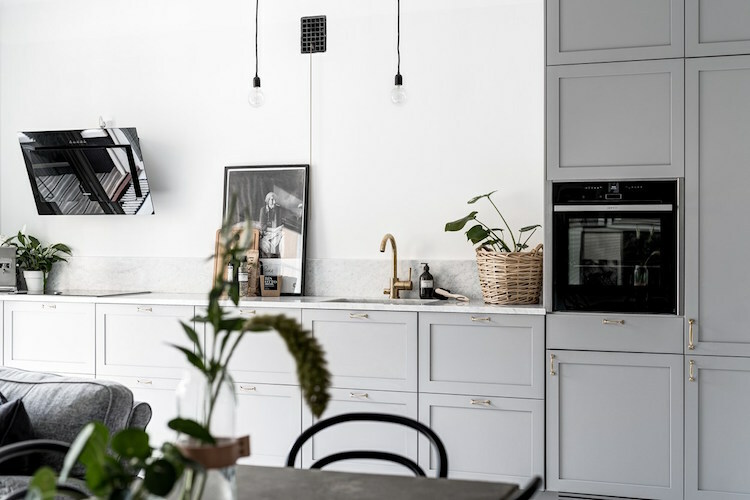 Also, the moment in time when everyone agreed there's no need to hide pendant lamp wires, just move them around wherever necessary, was such a game-changer. It's simply charming. So charming! I totally agree on the wires too - such a relief, without the trend I'd need to re-wire my house every 5 minutes! Our bodies produce melatonin naturally but the supplement is of herbal originate. I always find that my jet lag is worst on arrival (because I fly east) and I usually get over it quickly after my return (flying west). Other suggestions say to spend a lot of time in sunlight, I don't know how it works but that's what I always read. Hope you will be back to your usual self in no time! I do appreciate your blog. I live in the U.S. and enjoy the simple design approach from Sweden. Much h2o will help you combat jet lag, our bodies usually dehydrate when we fly, much mushrooms and lots of SUN worshiping!